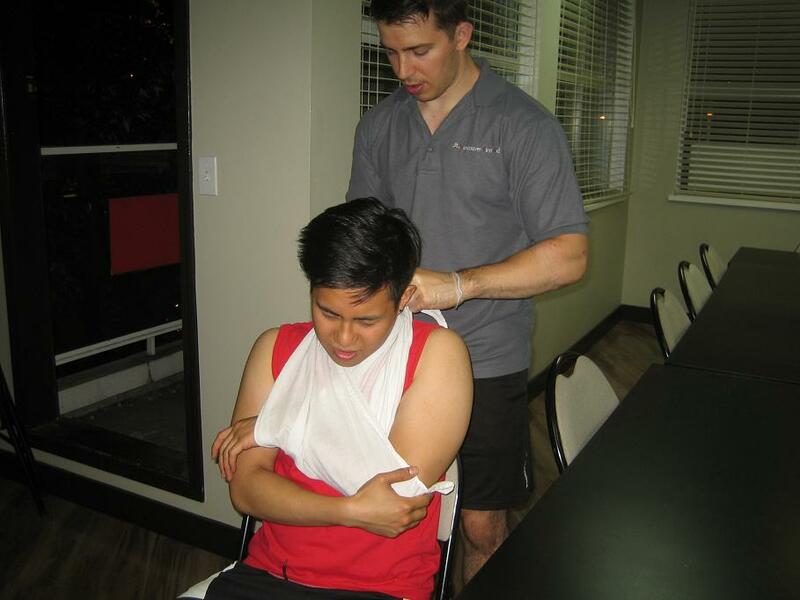 Creating a sling is part of first aid training, keeping an injured limb immobile. While premade slings made for everyday use aer available, in an emergency, a triangle bandage will suffice. When somebody trains in CPR, it usually includes first aid training. Other providers will not offer the two programs together but with us, you can enroll in a CPR program and learn basic first aid as well. All of our programs, particularly our Basic Life Support programs will teach basic CPR and first aid in a single session. We have six locations in the US: Los Angeles, San Francisco, Hawaii, Las Vegas, Seattle, or Portland. In all those locations, we offer five training programs and three re-certification classes, divided into Basic Life Support and Advanced Life Support. Cardiopulmonary resuscitation is a lifesaving skill that has become popular in training programs as awareness is raised on the danger of heart problems. But what does a heart problem have to do with CPR? According to a survey done by the CDC, almost 90 percent of respondents were aware that severe chest pain is a symptom of a heart attack. However, the same survey revealed that 70 percent of these people would feel helpless in reacting to a heart attack. Basic CPR uses compressions and ventilations to keep the heart beating during cardiac arrest. The compressions are given at a rate of 100 per minute, at a ratio of 30 compressions for every two ventilations. Ventilation can be given mouth-to-mouth, preferably with a barrier device. If available, bag valve masks (BVMs) are preferred. Our training rooms are spacious and equipped with the latest training mannequins and AEDs. Basic first aid covers a number of topics, but all focused on the most common emergencies that require it. Typical situations such as dealing with loss of consciousness, cuts, and bruises, and sprains and fractures. The trainee learns how to give wound care, tie bandages, and splint broken bones. 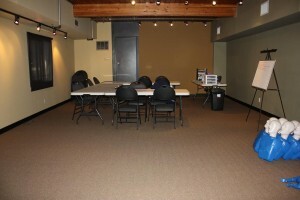 First aid is involved in all of our basic courses. All of the courses in the list are certification courses. We award training credentials to students who are able to complete all of the necessary requirements. They are valid for two years before they have to be renewed through a re-certification class. Re-certification is available for only three of our courses, as seen in the list above. If you plan on renewing your credential, please remember to do so before the credential expires. If you let it expire, you cannot sign up for re-certification classes; you have to take the training program again, instead.